Lemonwood Grove School in Rolleston open the doors to their brand new school on January 30th 2017. 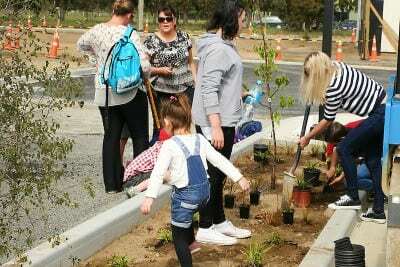 Ahead of opening day the school held a community planting day onsite. The new school was built by Southbase Construction who joined us on planting day. We dispatched Landscape Architects Danielle and Jordan along with GM John to help out and provide planting advice and expertise. Check out the photos. We were delighted to participate in this wonderful community event, on a beautifully sunny Christchurch day. The Rolleston community joined in and the local kids were very excited to plant out the gardens, to understand how to successfully plant a wide variety plants and to learn how they grow.